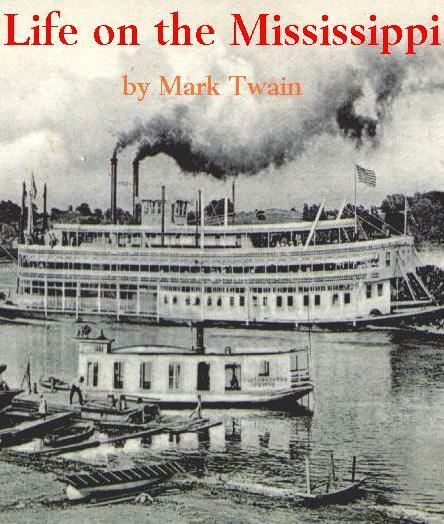 Life on the Mississippi gives the history of the great river along with a generous dose of Mark Twain's personal experiences. Like Huckleberry Finn and Tom Sawyer, this book is humorous in the extreme, a portrait in words of a bygone era in Middle America without the customary, sentimental, Norman-Rockwell-style overtones. For anyone desiring knowledge of the true feel of the Mississippi River and its tributaries—complete with ornery keelboatmen and slick riverboat gamblers—this is a must read. The inspiration for Life on the Mississippi was the colorful scoundrels that Mark Twain encountered as a young boy training to be a river pilot. While largely autobiographical, the author in no way refrains from telling an occasional whopper, thereby enriching the storyline. Why they don't make high school students read Life on the Mississippi instead of Silas Marner and his ilk is beyond me. Climb aboard, take the stairs to the Texas deck, and enjoy the view as Mark Twain's floating palace embarks on a nostalgic journey down the Father of All Rivers!